WASHINGTON — Along a makeshift wall in a cramped room, but clearly at the center of the storm, Manny Machado sat Monday in front of a placard bearing his name and the Baltimore Orioles' logo. For more than 20 minutes, he took a series of questions about which team's uniform he will be wearing Friday, when Major League Baseball returns from its four-day all-star break. That's life as a human trade rumor. "It's the worst," Machado said. "You just don't know what's going to happen." Machado is hardly the first superstar athlete to face the uncertainty of changing teams. And make no mistake: the 26-year-old shortstop is going to change teams. Any day now, the worst-in-the-majors Orioles — the only team for which Machado has played in his seven major-league seasons — will trade him to the Los Angeles Dodgers, or the Milwaukee Brewers, or gulp, the Philadelphia Phillies. Until that happens, though, the questions will keep coming — and not only from reporters. Friends and family ask him about it. One unnamed Orioles player recently teased Machado that he was getting traded to the Giants — "the Tokyo Giants," Machado said, rolling his eyes and adding, "You never know at this point." And when all of this is happening in the middle of the season, life is even more uncomfortable, which explains why Machado has no interest in waiting two more weeks until the July 31 trade deadline for the inevitable to happen. "Definitely," he said. "One-hundred percent. Just get it over with already." It's doubtful Machado will have to wait much longer. The Orioles are believed to have whittled their Machado-related talks to a handful of teams. The Dodgers, defending National League champions, make sense after losing shortstop Corey Seager to season-ending elbow surgery. The Brewers have gotten less production from the shortstop position (.567 OPS) than any NL team. The New York Yankees have some interest because, well, they're the Yankees. And then there are the Phillies. It's widely expected that they will put on a full-court press to sign Machado as a free agent this winter. 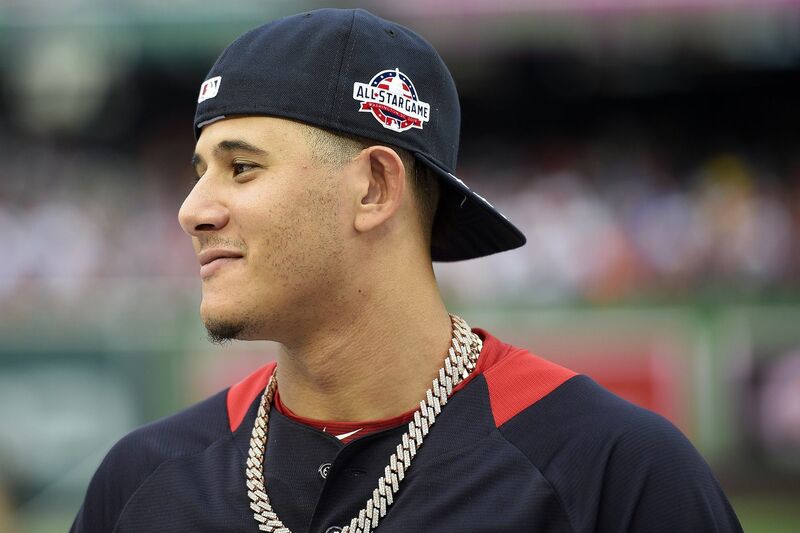 But considering the Phils are in first place at the all-star break, and the NL East looks surprisingly winnable, thanks to the Washington Nationals' struggles, team officials are strongly considering moving up the Machado timeline. >>READ MORE: Cole Hamels says being traded to the Phillies would be "a blessing"
Trading for him now doesn't guarantee re-signing him in the offseason. Machado said he's "not really" interested in signing an extension before testing free agency, although he allowed that a new team might have the "upper hand." But it might result in the Phillies' first playoff berth since 2011. "I think [Machado] can add a lot," Phillies all-star ace Aaron Nola said. "I don't know the situation right now or what's going to happen. It's out of my control. I think wherever he goes, he's going to add something. He's a player. He's done a lot in his career, and I think wherever he goes or ends up, he's going to be good." The Braves' Nick Markakis can vouch for that. The all-star right fielder was with the Orioles in 2012, when they called up Machado from double-A Bowie. Despite being only 19 and playing third base rather than his preferred shortstop, he hit seven homers in 191 at-bats and helped them finish 33-18 en route to clinching a wild-card berth. "When he came up, he's one of the few guys who I never really saw struggle," Markakis said. "Just the way he handled himself and the way he plays the game, you see why he is where he is today and the position that he's in with a lot of people fighting over him. No matter who he goes to, somebody's going to be very lucky." That doesn't make this week any less stressful for Machado, who was both patient and polite on the eve of the All-Star Game, in the face of largely unanswerable questions. Asked whether he preferred to go to a particular team, Machado said, "Honestly, I have no idea. It doesn't matter. I can't control it." He also downplayed any significance to "liking" an Instagram photo of himself wearing a superimposed Yankees jersey, claiming that he has liked similar likenesses in other teams' uniforms. "To go out there and not know where you're going to be tomorrow, it's kind of tough," Machado said. "A lot of packing, a lot of cars shipped. I've got a lot of clothes in my locker and in my room. I'd like to stay at home. I'd like to be with the organization that I've been with, not learning new faces, not learning new names. I'm not good with names." In that case, the Phillies would represent the easiest transition. Machado was teammates with starter Jake Arrieta and reliever Tommy Hunter in Baltimore. Several members of the Phillies' front office — including president Andy MacPhail, general manager Matt Klentak, and director of player personnel Joe Jordan — worked for the Orioles when Machado was drafted third overall in 2010. "We go way back," Machado said. "Joe was one of the guys that drafted me, and Andy was there when I signed, as well. Kind of got a decent relationship with them." By the end of the week, it's possible they will all be reunited. And then the questions can finally cease.